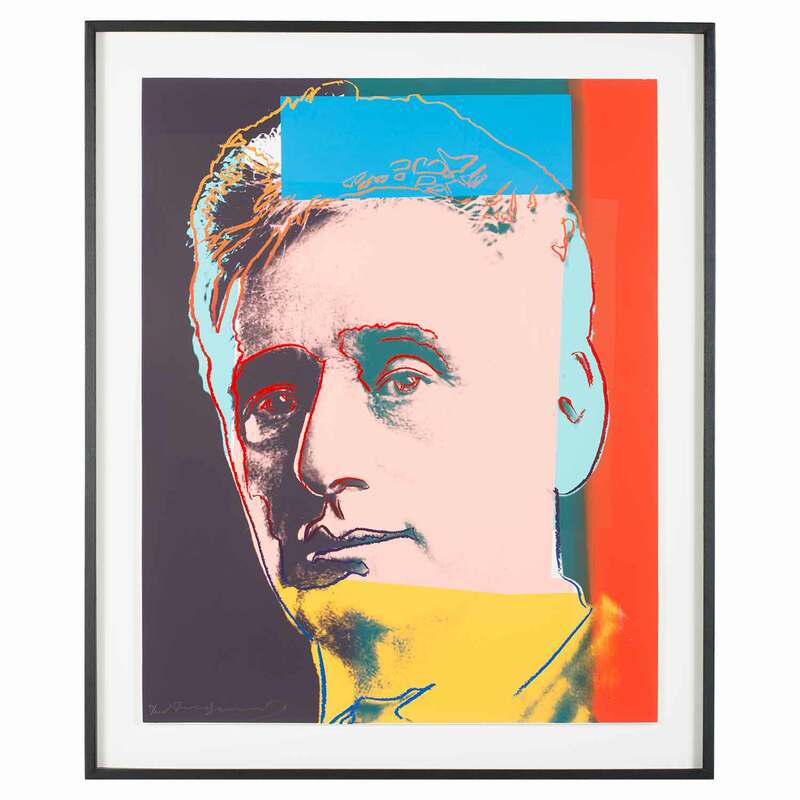 In this once controversial series, Andy Warhol depicts ten prominent Jews of the 20th century using his signature silkscreening technique. 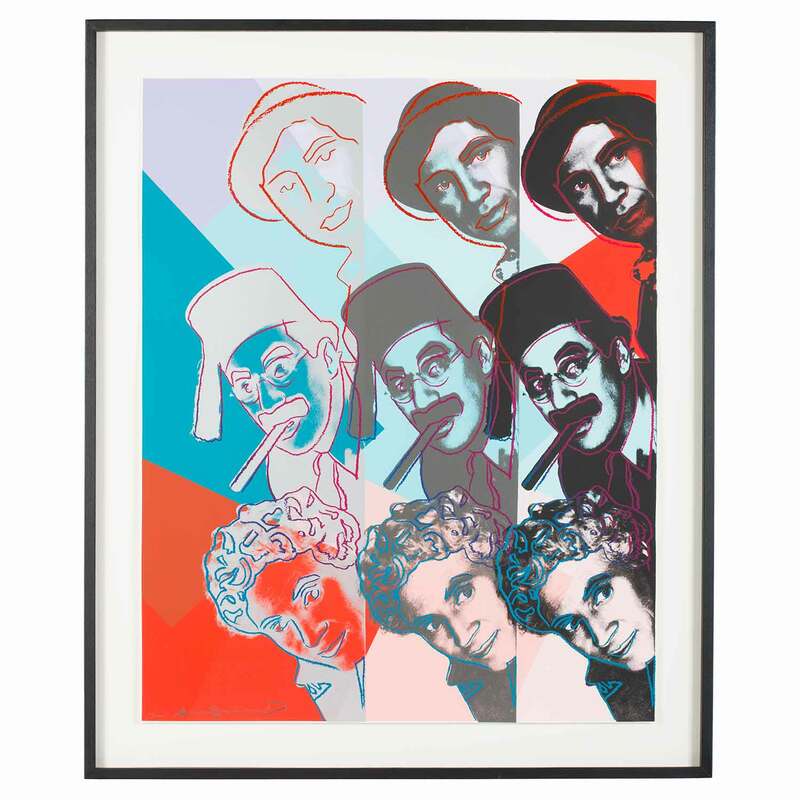 Andy Warhol’s Ten Portraits of Jews of the Twentieth Century depicts luminaries of modern Jewish culture: Sarah Bernhardt, Louis Brandeis, Martin Buber, Albert Einstein, Sigmund Freud, George Gershwin, Franz Kafka, the Marx Brothers, Golda Meir, and Gertrude Stein. 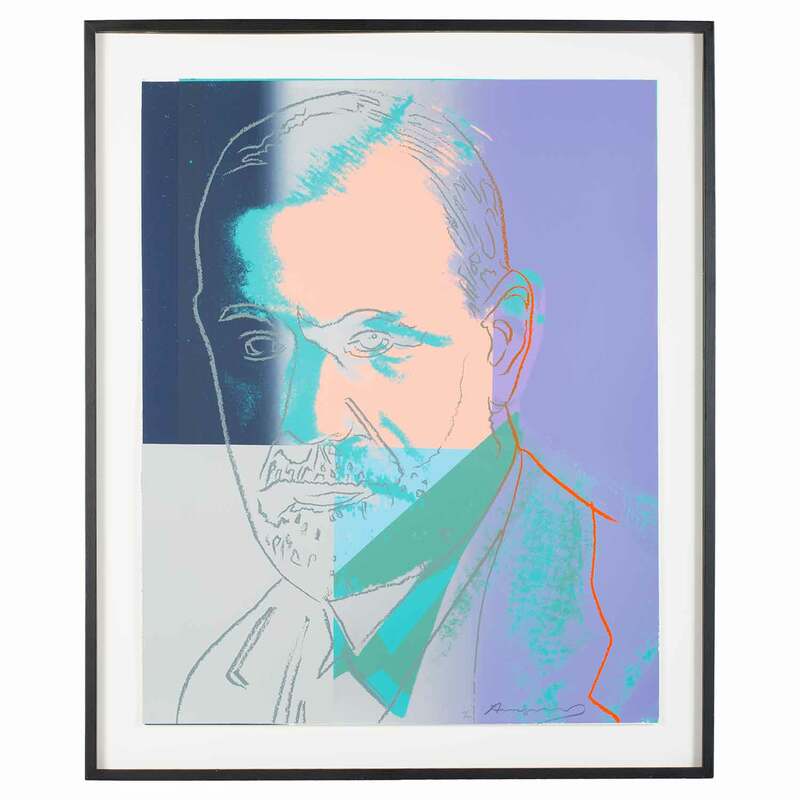 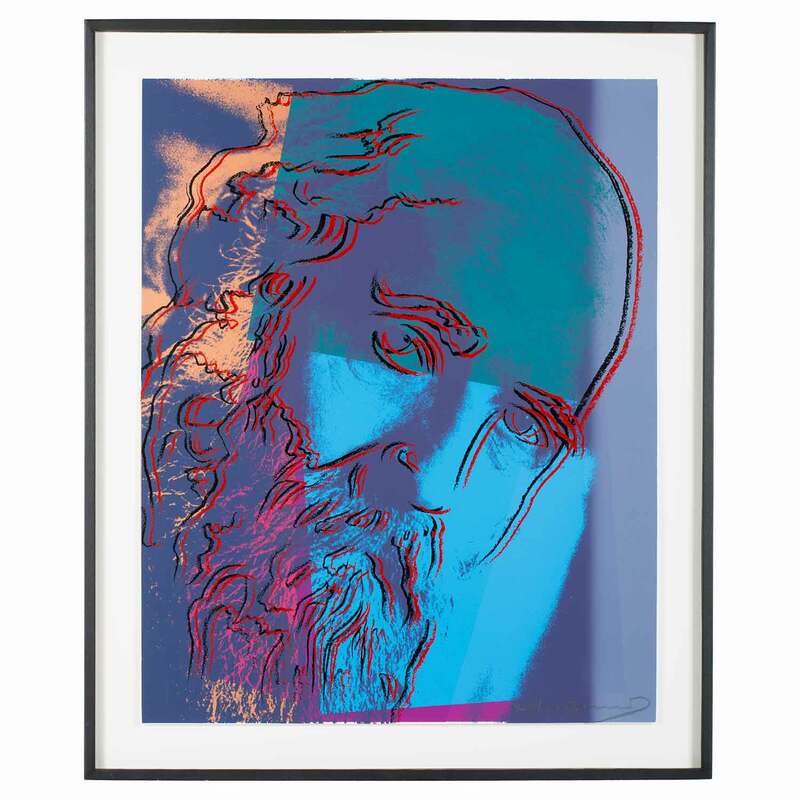 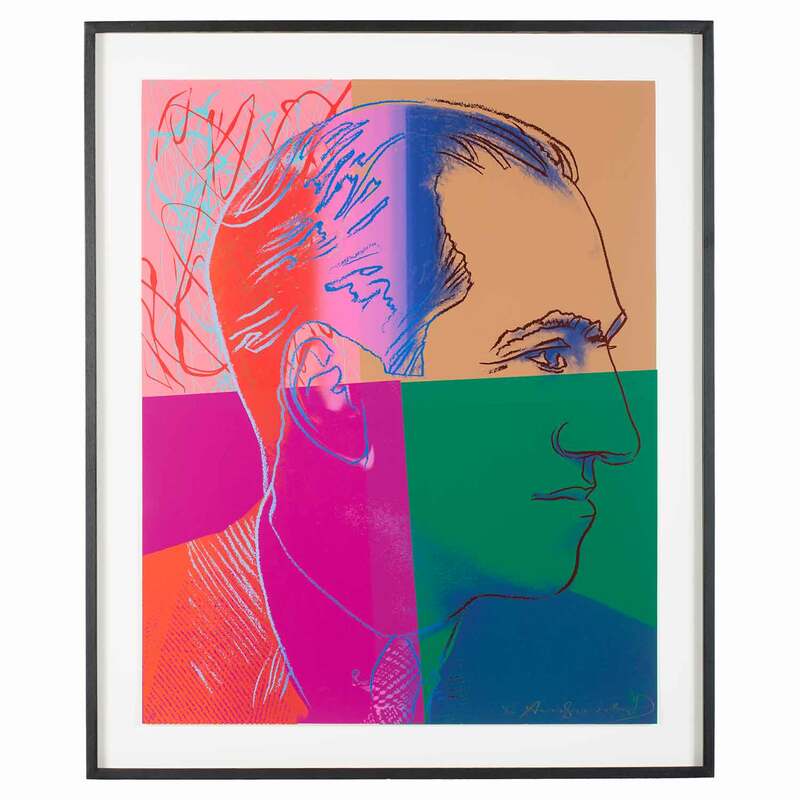 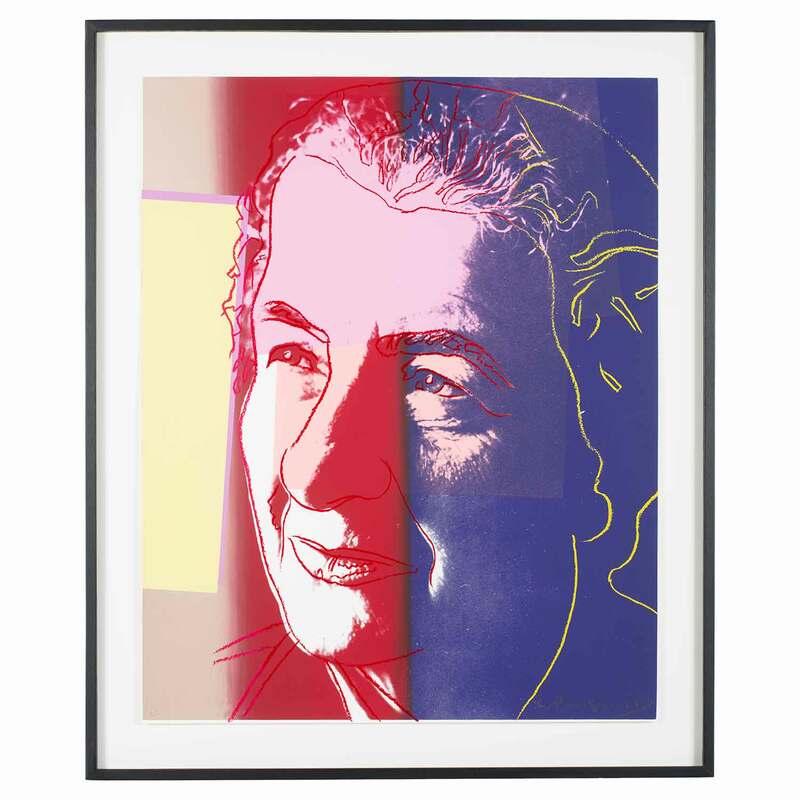 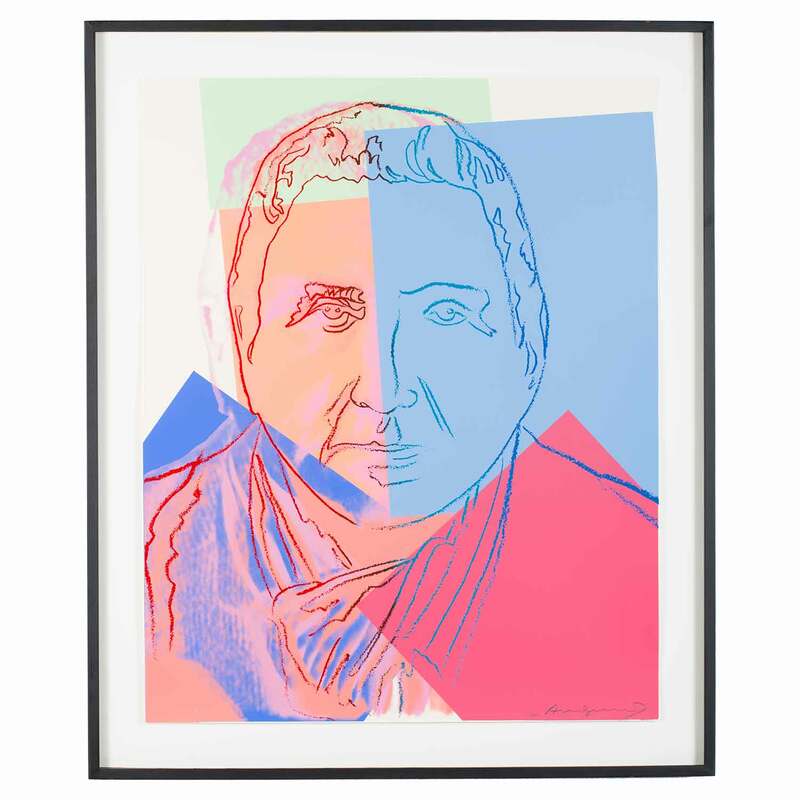 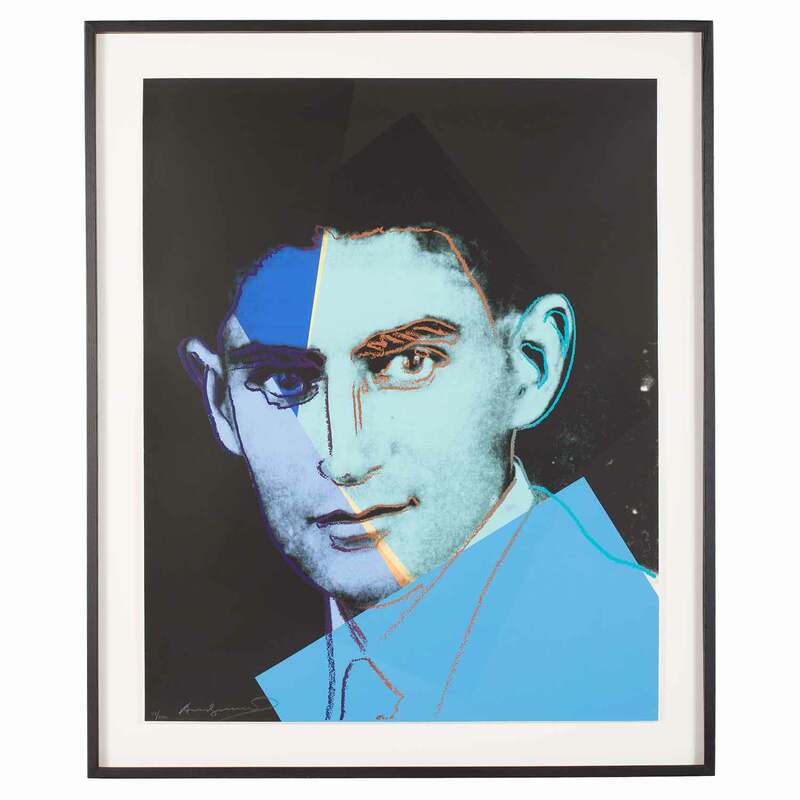 Warhol referred to these great thinkers, politicians, performers, and writers as his “Jewish geniuses.” He depicts them in his signature pop-art fashion, splashed with neon colors, overlapped with geometric shapes, and outlined, as if drawn with crayon. 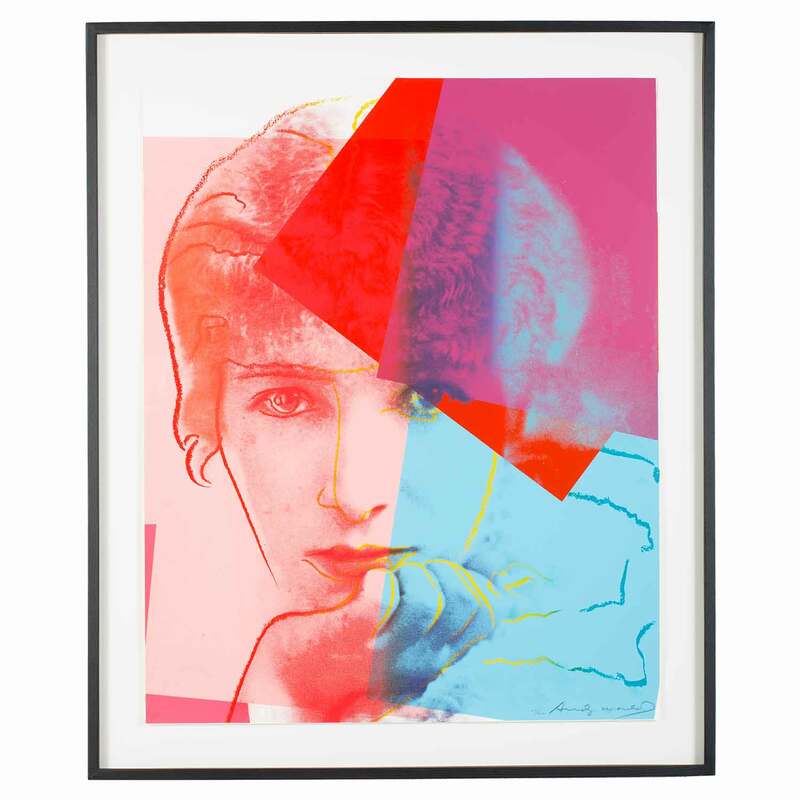 With a bit of hindsight it is easier to appreciate these prints as classic examples of Warhol’s preoccupation with fame and his blurring of boundaries between high art and mass culture and commerce. 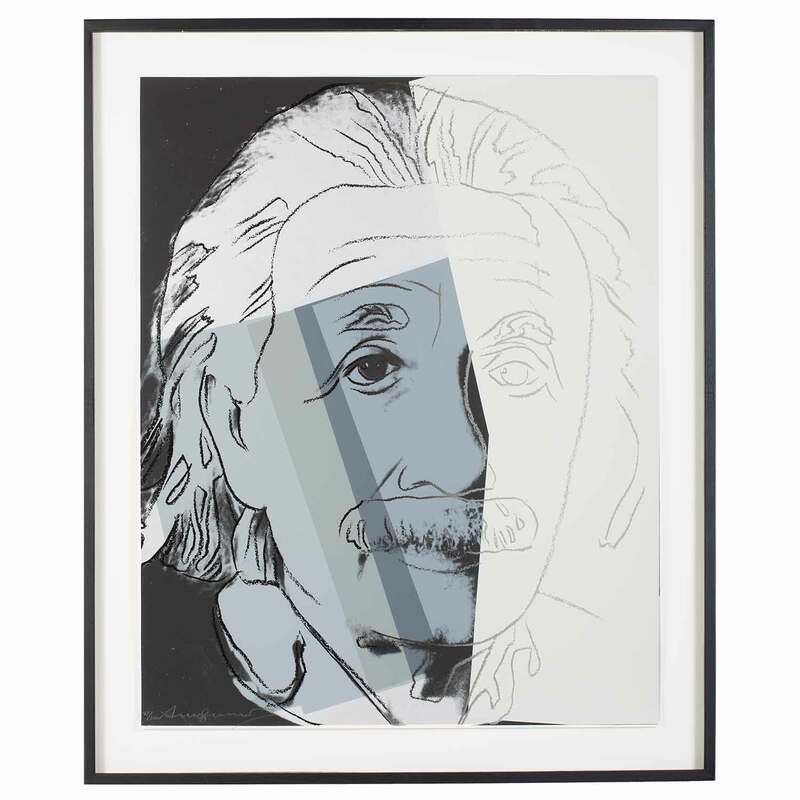 Dimensions: 39 15/16 x 32 in.